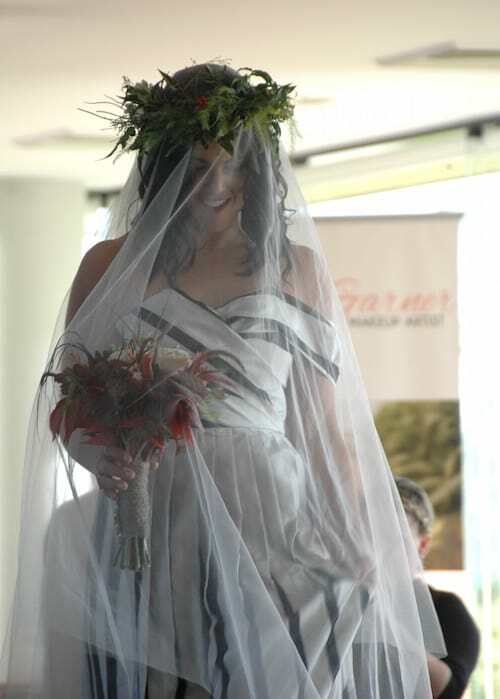 Bridal show – Ivory and black stripes. When my Aunty Marg went through her fabric stash and told me I could take what I liked I don’t think she expected this. 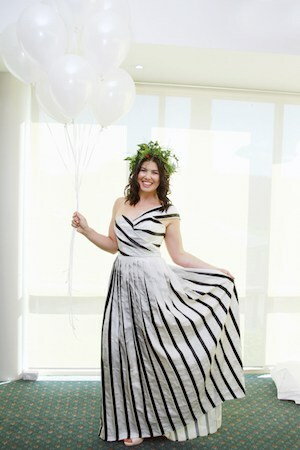 A black and Ivory stripe taffeta that was so old I could tear it with a pin carefully pleated and sculpted into this amazing dress. I used this dress for the finale of the parade. It worked beautifully with the black sequin bridesmaids. I also had a strapless sequin dress I borrowed back from its owner to use for the maid of honour. 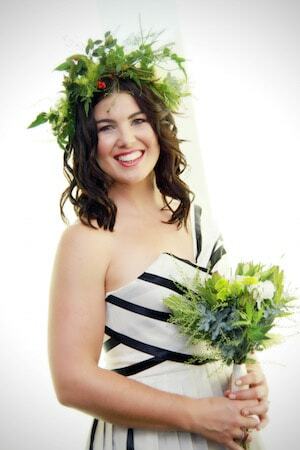 The floral crowns were all made by Jill at the Little Bouquet in Merimbula. A tiny little comb held the veil in place and the crown sat over the top. I loved that they were so lush and dramatic, the perfect complement to a dramatic dress. 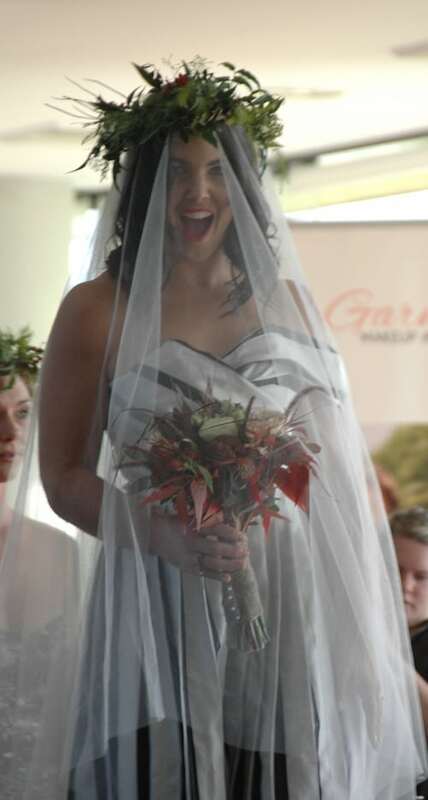 This entry was posted in Blog, bridal original, Bridesmaid, Flowers, winter wedding, year 12 formal. Bookmark the permalink.